Catherine Shropshire, daughter of the late George Price and Bessie Jackson was born on October 25, 1926 in Halifax County, Virginia. 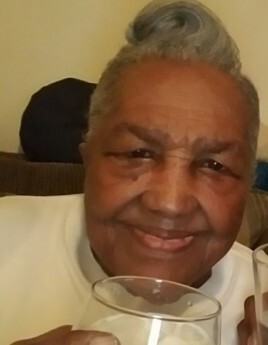 She departed this life on October 24, 2018 after a brief illness. Catherine was aectionately known as Granny. Catherine left home at a young age to begin her new life with her sisters, Phyllis and Lelia. Catherine was united in marriage to the late Burnice McCoy Shropshire August of 1948. From this union they were blessed with four children, Sallie, Bernard, Jerome and Asalie Shropshire. Catherine was an active member of Shiloh Baptist Church in Halifax County, Virginia. She was a hard working woman until she retired. She was a devoted mother and grandmother who would give you anything she had with no problem. Catherine leaves to cherish her memories, her daughters, Sallie and Asalie; grandchildren, Stacy, Monique, Bernard Jr., Nicole and Alisa; great grandchildren, Sharna, Dorian, Jr., Damournai, Jarren, Jasmin, Ziqiaya, Makalla, Tamiyah, Rubie, Roxie, Amir and Amari; great great grandchildren, Journee, Jace, Maximus, Marcus, Jaylah, Jayda, Dalilah; extended family, the Leggs; devoted Cousin, Barbara Jean; special friends, Mrs. Idamae and Mrs. Ann and a host of other relatives and friends.